These food colour pens from Colour Splash are really easy to use for personalising and adding unique finishing touches. 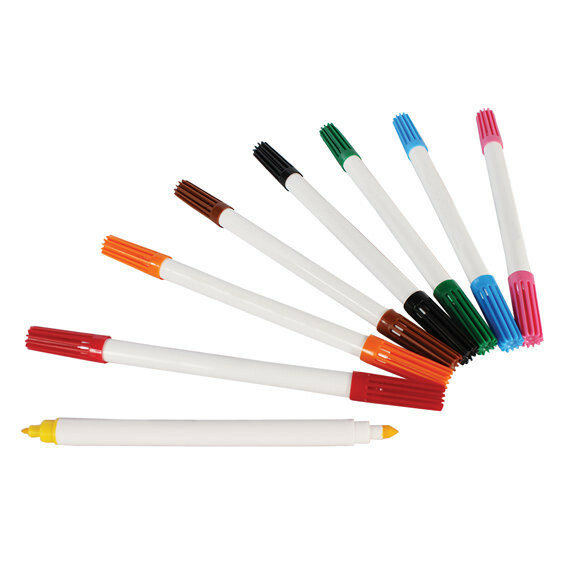 Available in a great value pack of 8 colours including orange, brown, red, black, green, blue, pink & yellow. Water, Humectant: Glycerine E422, Ethanol, Colours: Riboflavin: E104, Cochineal: E120, Brilliant blue: E133, Brown HT: E155, Brilliant black: E151, Acidity regulator: citric acid: E330, Emulsifier: polysorbate 80 E433, Preservative: Potassium sorbate: E202.